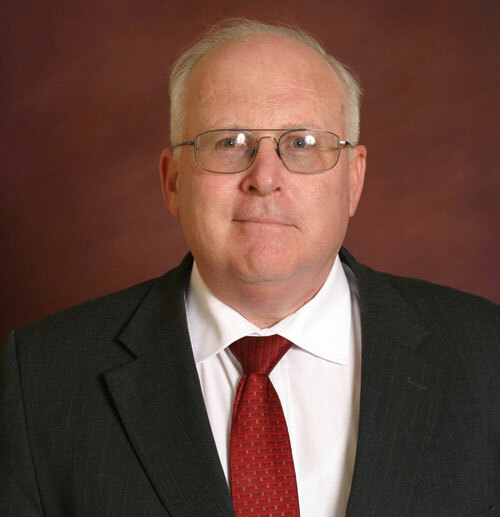 After twenty years at Southern Utah University, Carl Templin, Dean of The School of Business has retired. A pivotal mentor in the lives of many students, Templin managed eight undergraduate programs, two graduate programs, 26 faculty members, five staff, and an estimated 900 students. In addition to his responsibilities and teaching assignments, Templin served as an advisor to the Professional Business Leaders, Phi Beta Lambda (PBL) club on campus. Students like Tyler Edgel, who graduated with a Bachelor of Science Degree in Accounting and Finance last year, were directly affected by Templin’s leadership. One of Templin’s accomplishments that he is most proud of is the Association to Advance Collegiate School of Business (AACSB) accreditation of the School of Business. AACSB International is the longest serving global accrediting body for business schools that offer undergraduate, master’s and doctoral degrees in business and accounting. Templin was excited when the accreditation was extended for five more years during the latest visit. It is apparent that Templin positively impacted the lives of many students and faculty over the years. His dedication to SUU and to student success has been demonstrated by his involvement and caring attitude. Rich Slack earned his master’s degree in business administration at SUU and said he received a quality education from professors like Templin. Alan Hamlin, professor of management at SUU, was on the search committee when Templin was hired. Over the years he has seen Templin’s work positively affect the university. Before joining SUU in 1995 as an assistant professor of business, Templin was an associate professor at the Air Force Institute of Technology in Ohio. He was also director of the graduate cost analysis and contracting management programs at the institute. Templin received his bachelor of arts in humanities degree from Brigham Young University, followed by his master of business administration degree from the University of Wyoming. At Arizona State University, he earned a Ph.D. in business and logistics.